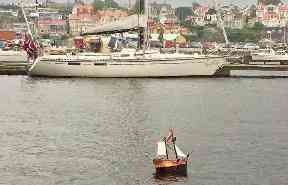 Ollie and Harry's vessel is now bound for Cape Verde after reaching Norway. 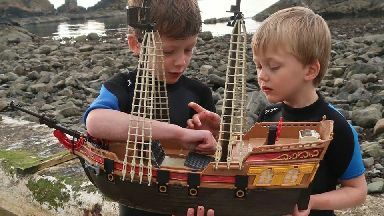 Two young boys from the north east of Scotland have found international fame after their toy pirate ship was found floating off the coast of Norway. Brothers Ollie, eight, and Harry, five, initially launched their Playmobil boat into the waters off Peterhead, Aberdeenshire at the end of May. It has since bobbed along 390 miles to Denmark then Sweden before being picked up by some surprised Norwegian officials. The boys' father, MacNeill Ferguson, says the pair are absolutely delighted. "The Norwegian press have loved this and really gone to town with it," he says. "The boys are actually going on the telly tonight." 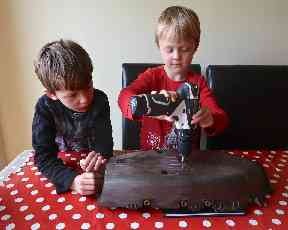 Ollie and Harry first began work on their pirate ship after finding it in their toy box. 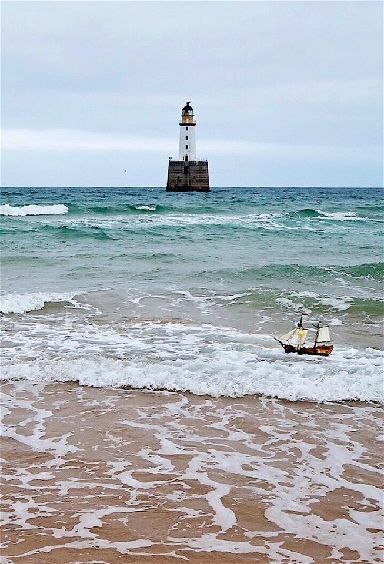 With help from their father, they filled it with polystyrene to make it more buoyant and put in a counterweight to help it stay upright when tackling the big waves of the North Sea. 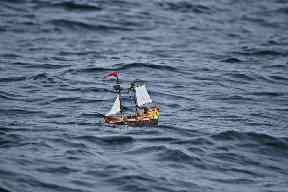 They then added a pirate flag, as a polite warning to other seafarers, then took it up to their local swimming pool to test it. After passing its initial sea trials, the brothers then headed to the coast to see if their ship, named Adventure, could handle tougher waters. 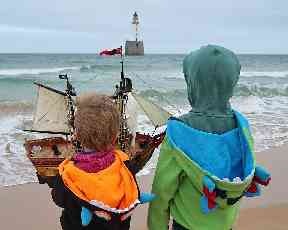 After wedging in a waterproof package into its hold, with a handwritten letter asking whoever might find their boat to email them pictures and put it back into the sea, their pirate ship was launched. 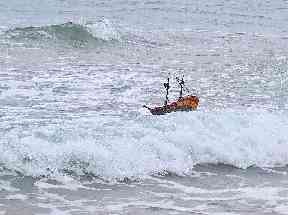 The strong currents successfully bore it all the way to Scandinavia, with the little plastic boat surviving areas well known to experience the occasional monster waves reaching 100ft high. The first person who found it in Denmark emailed Ollie and Harry before sending it back on its way, where it was then found washed up in a driftwood tree on a Swedish beach. 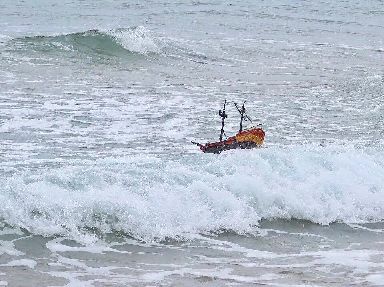 "The lady who found it had a boat herself, so she put some sails on it and set it out again before it was picked up off the Norwegian coast by the nature authorities," says the boys' father. "Everyone so far has opened the package inside and acted accordingly, it's been wonderful." 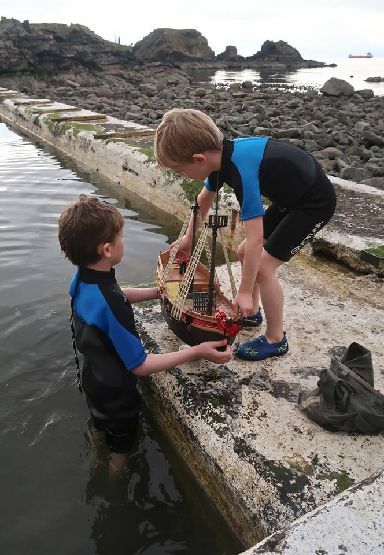 The story of the toy ship and the Scottish boys who built it is now being spread throughout the Norwegian press and a special offer has come in for the boys from a very special boat about to set sail just like theirs. "The captain of the Christian Radich, an incredible beautiful sail boat, has offered to take it with the crew on their journey to Colombia," says Mr Ferguson. 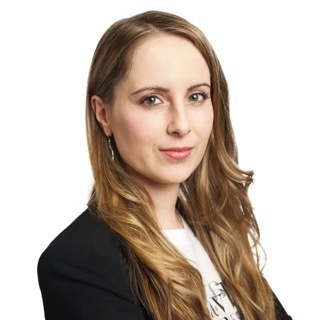 "It would be too hard for it to get out of the Norwegian currents so they're going to launch it into the waters once they reach the Cape Verde off the north west coast of Africa." 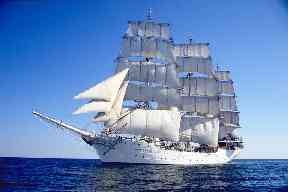 The Christian Radich is a Norwegian full-rigged ship, originally launched in 1937. The vessel was built for training sailors for the Norwegian merchant navy and did so for many years. With her help, the boys' pirate ship could float as far as South America from Cape Verde. 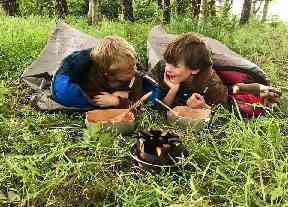 This is not the first big adventure that Ollie and Harry have taken part in, as their parents make a point of involving them in as many exciting opportunities as possible. The young explorers have a gigantic bucket list of 500 adventures with a Facebook page dedicated to their exploits. 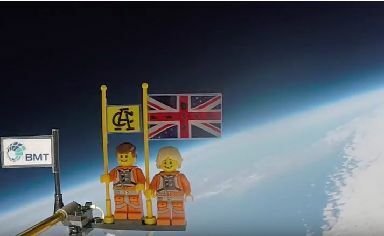 Named The days are just packed the duo have already gathered up more than 800 followers who view their attempts to cook on open fires and fire Lego men into space. "They actually managed to do that one," says their dad. "The Lego men reached 20 miles above the Moray Coast on a balloon." 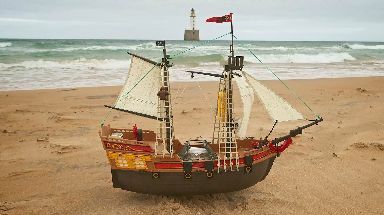 Their pirate ship exploit is one of their 208 completed adventures meaning they are almost half way through their extensive list. Among the 500 bullet points are "find buried treasure" and "survive a zombie apocalypse". The brothers also want to build the world's biggest snowman and create their own ladybird sanctuary. 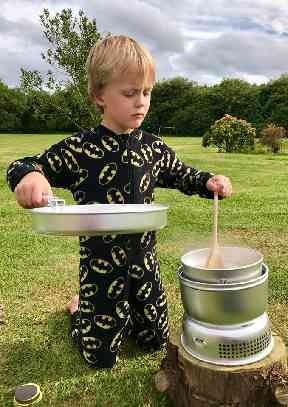 "We started doing these adventures about three years ago," says their father. "The whole point was to spend really good quality family time together. "We wanted wacky, engaging and interesting things away from television screens. "We wanted to engage them and inspire them to help them learn about the world around them." The family has been bowled over by the kindness of the Norwegian people. "Not only did our ship get picked up in Sweden and fully repaired by a lovely Norwegian couple but now a park ranger in Ytre Hvaler National Park has picked the boat up from the marine reserve and is helping the boys to relaunch Adventure so she can continue her fantastic journey," they posted publicly. The boys are now excitedly waiting for more updates from around the world as their pirate ship sails on. In the meantime they are hard at work planning their next big adventure. 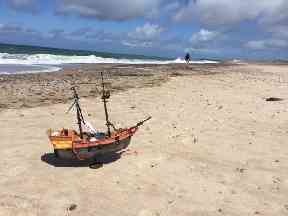 Though they do ask that if anyone does pick up their boat out there, to please read their message, send them a picture, then launch it back into the water to continue its international journey. In the spirit of true pirates, this little boat was meant to roam free across international waters after all. 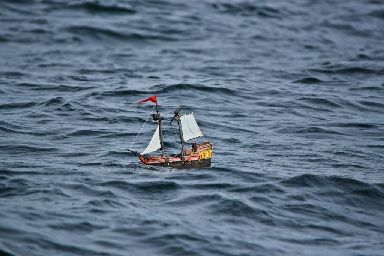 You can follow all the bothers' updates on their toy ship and their bucket list here on their Facebook page.